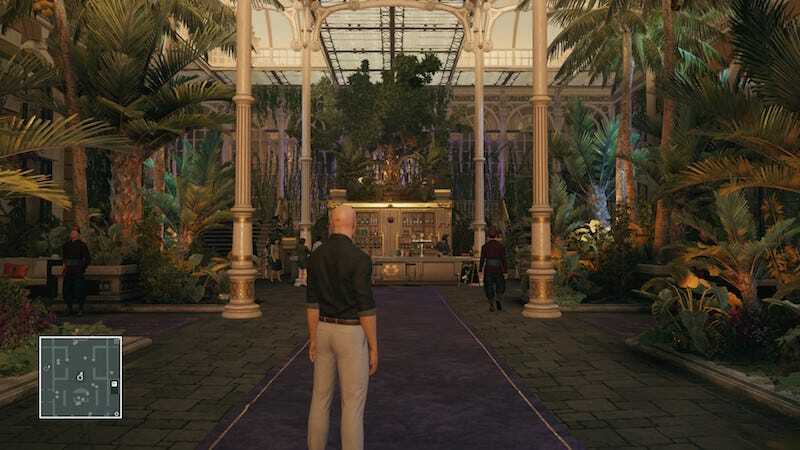 Hitman’s latest episode, Bangkok, returns to the ostentatious locations of the series’ previous installments. While Marrakesh was largely brown and yellow straightforward stealth, Episode 4’s Himmapan Hotel is bursting with color, alternate paths, interesting guests, and creative ways to take out your targets. This mission is of a much more personal nature than we’ve seen up to this point. There are two targets—rock star Jordan Cross, suspected of pushing his actress girlfriend Hannah Highmoore off a balcony; and Ken Morgan, the attorney who assisted in the supposed cover-up. 47 is seeking revenge on the dime of Highmoore’s parents, which at first blush seems to lack the global reach of previous missions. While the episode wraps up with whiffs of the grander conspiracy threaded throughout the series to date, Bangkok uses its somewhat smaller plot setup to address broader issues of wealth, power, and privilege through the chatter of the level’s plentiful NPCs. Pro tip: 47 looks really great in that floral shirt and tight pants. 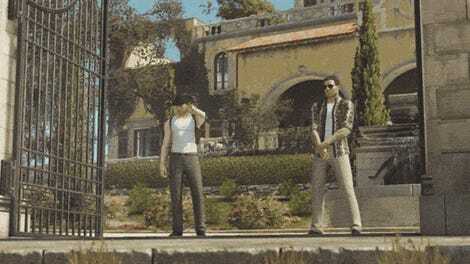 Eavesdropping (always a fun thing to do in Hitman) reveals a constant running commentary on current cultural, financial, and political issues. The stage crew reflects that it’s Jordan Cross’ birthday and wonders whether he’ll join the ‘27 Club,’ the age at which many famous rock stars have died and the source of the mission’s name. At the couches before the lounge, closed for a private event, a tech bro tries to impress a disinterested woman by bragging about software and his expensive Christmas party. Hotel staff, dressed in a stylized take on Thai garb, kowtow to guests’ every whim when they walk by and badmouth them while smoking cigarettes in back areas. Pretentious musical discussion is everywhere, along with more cynical takes on the commodification of art and rebellion. At one point two security guards discuss ‘affluenza,’ a ‘condition’ made famous by Ethan Couch, suggesting that Jordan’s rich father and life of privilege made him immune to the consequences of his actions that night on the balcony, as well as suggesting that there would be no outcry about Hannah Highmoore’s death if she hadn’t been young, white, and pretty. This background noise never resolves itself into a stance—47 is as impassive and apolitical as ever—but it creates a rich atmosphere for the assassinations. It lends a tension of class stratification (Jordan’s band, not so subtly, is called The Class) that makes the mission feel far-reaching and relevant. This happens. No one is impressed. There are an abundance of ways to take out your target in Bangkok, and myriad ways to get the outfits necessary to get near them. The two targets have very different paths—at one point I followed a particular opportunity only to get to it just as Jordan Cross began his loop, leaving me waiting so long for him to return that I went out searching for him, wondering if he’d glitched. (I found him deeply involved in the craft services table, and it took a lot of poking, prodding, and coin-throwing to get him moving again.) Ken Morgan has an initially small loop, but one that can be changed through a variety of ways, meaning there’s ample opportunity to try new and clever ways of taking him out. Interestingly, I found a bit of randomness and new behaviors in Ken Morgan’s route and responses, which can throw a wrench into an assassination plan. I spent a long time casing the level, learning where I could go and what tools I could use to my advantage. The Himmapan Hotel is colorful and elegant; it’s a single area, like Paris, but it feels varied and complex the way Sapienza did. There are bedrooms, indoor gardens, glass rooftops, and multiple bars, as well as a twisting array of subterranean rooms and passages. They’re sectioned off very clearly—an area only for staff, whole floors blocked off for the band, and public spaces full of witnesses—making moving around the hotel complicated and challenging. There are few completely private areas to get your targets alone; hotel rooms require a key card to access, making the lockpick more or less useless. It pays to mingle with the hotel’s guests, and the revealed opportunities and intel they provide are intriguingly diverse. I’m excited to try a suit only silent assassin run; while such an accomplishment seemed laboriously difficult in Marrakesh, Bangkok’s sprawling level and public space feels like it will be a challenge on par with Paris. Bangkok is a beautiful, meaty Hitman level, with all the glitz and glamor that draws me to the series. It’s atmospheric and bursting with personality, and a refreshing change after how disappointed I felt by Marrakesh. 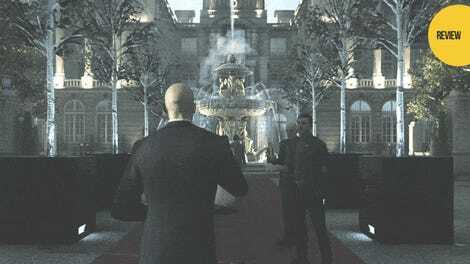 I’m relieved to have a Hitman level I’m excited about again, and I’m looking forward to spending more time learning it top to bottom.